Kristen Reed, a graduate of the University of Texas at Dallas, is an artist, filmmaker, and author from Dallas, Texas. As a Christian, her faith heavily influences her writing and is the driving force in her life. She is the author of The Fairetellings Series, The Alazne Series, and The Way of Escape. 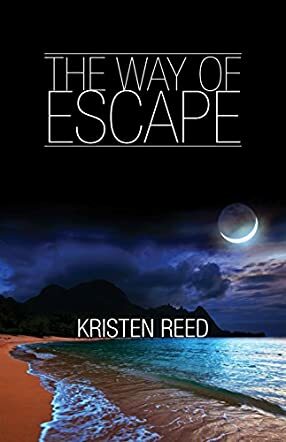 The Way of Escape by Kristen Reed is the story of Clara Robinson; she is not an ordinary human and she never will be. Things are not going well in her life. She discovers that she is part of a community despised by the world at large. When a leader of a vampire clan comes to her and tells her that she is a dhampire, she is given two choices. She can either become a vampire herself or become a slave of the clan. There is no other choice for her and she feels that her life is over. However, there may be an end to her suffering. A visiting vampire tells her that if she becomes a vampire, she can have the other slaves freed, but at what price? Are her humanity and mortality worth it? Or is this a trick? Is it her freedom or the lives of the slaves who can have a chance at a normal life? First of all, I really want to say thank you to Reed for portraying vampires as they should be. They are hard, gritty, and raw and this is how they should always be portrayed. The characterization was on point, the atmosphere was a perfect fit for the theme of the novel, and I could not have asked for a better written story. Clara was conflicted, as she should have been. The novel had a feeling very similar to the Night Huntress series by Jeaniene Frost. And since I love that series, I cannot wait to see what Reed does with hers. I loved this book. I hope there is a sequel!